Colonel Gary W. Fredricks was born and raised in Ottawa, Kansas. 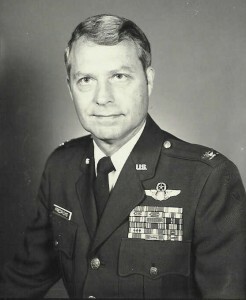 After attending the University of Kansas for two years, majoring in aeronautical engineering, he entered the U.S. Air Force in 1958 as an Aviation Cadet. He was an honor graduate, received a regular commission and chose to become a fighter pilot. He flew primarily the F-100 and the F-4 aircraft. Colonel Fredrick’s Air Force career brought broad assignments and experience in leadership, management, and staff functions in aerospace operations, training, logistics, command and control, operations analysis, and in weapons system development, acquisition and test. He was a distinguished graduate of the Air Force Institute of Technology, receiving a Bachelor of Science in Electrical Engineering, and of the Air Force Command and Staff College, simultaneously earning a Masters in Business Administration from the University of Auburn. He attended the NATO Defense College and had a subsequent tour on the staff of the Supreme Headquarters Allied Powers in Europe (SHAPE). Colonel Fredricks concluded his Air Force Career with his dream assignment , command of an award winning F-4 tactical fighter wing with over 2000 personnel and nearly 100 assigned aircraft. The unit had a diverse mission with a worldwide operations commitment that took it as far as Greece and Korea, as well as a training mission for U.S. and Germany fighter aircrews. Colonel Fredricks retired from the Air Force in 1984 and started a second career in the defense electronics industry with General Dynamics, Hughes Aircraft and Raytheon. His final 10 years in industry were spent leading, managing and directing a wide ranging industry team in production of the Tomahawk Cruise Missile to meet the U.S. Navy and Royal Navy war fighter requirements. He was responsible for a $300 million a year business unit with 500 Raytheon employees and a large number of both large and small suppliers stretching across the country, and into Canada and the U.K. Colonel Fredricks was our 47th Chapter President, serving in 2004. 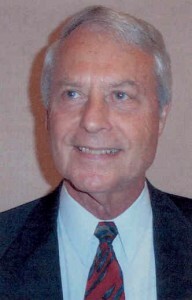 Gary was inducted into the Arizona Veterans Hall of Fame in 2010. He and his wife, the former Marie Keelin, also of Ottawa, Kansas, reside in Fountain Hills. They have three children; Scott, Craig and Suzanne. Marie is also active in the leadership of our Chapter.